Since joining JDJ in 2007, Kylie has drawn upon her non-traditional and diverse background to collaborate with clients and professional advisors to deliver comprehensive, flexible services to her clientele. Kylie interfaces proactively with wealth advisors, attorneys, tax accountants and other professional advisors to maintain a holistic picture of her clients’ financial well-being. 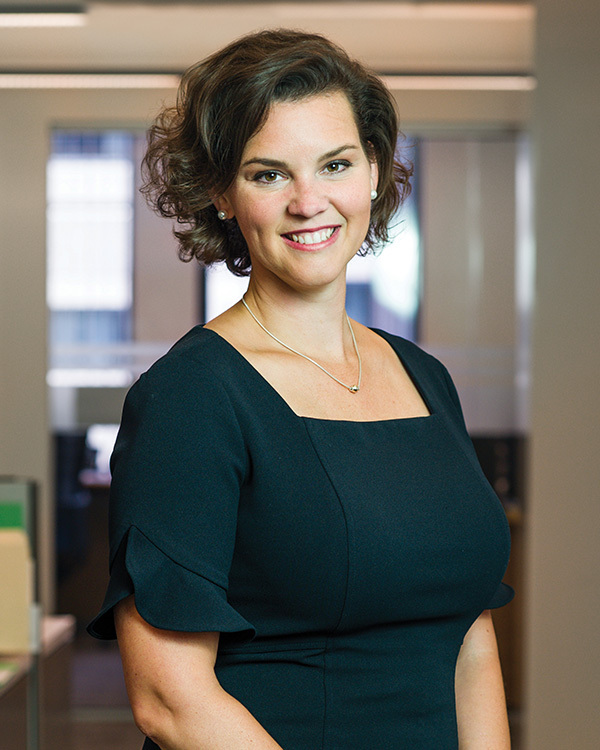 Kylie manages many aspects of her clients’ financial lives, including tax planning, estate planning and implementation, customized financial reporting, and investment administration. Persistently thoughtful and creative, Kylie works to solve the unique and complex challenges her clients face. Kylie has extensive experience providing family office services to ultra-high net worth individuals. Kylie was previously a manager in the Rothstein Kass Family Office Group, as well as a client manager at JDJ Resources. In both those roles, she provided accounting and consulting services to affluent families. Kylie launched her accounting career at Pavo Real, Ltd., where she was solely responsible for all financial and administrative functions for several corporate entities. Kylie holds a Bachelors of Fine Arts degree from the Massachusetts College of Art. She is a Certified Financial Planner™ and notary public, as well as a member of The Boston Foundation’s Professional Advisors Committee and the Boston Estate Planning Council, where she formerly chaired the Women’s Initiative Committee.